With the relegation race finally meaning something with 9 out of 15 Ascenso MX teams, one could have been forgiven if the first team to change its manager came from one of the Liga MX sides who had to directly deal with the threat of relegation (Lobos BUAP, Queretaro, Veracruz). 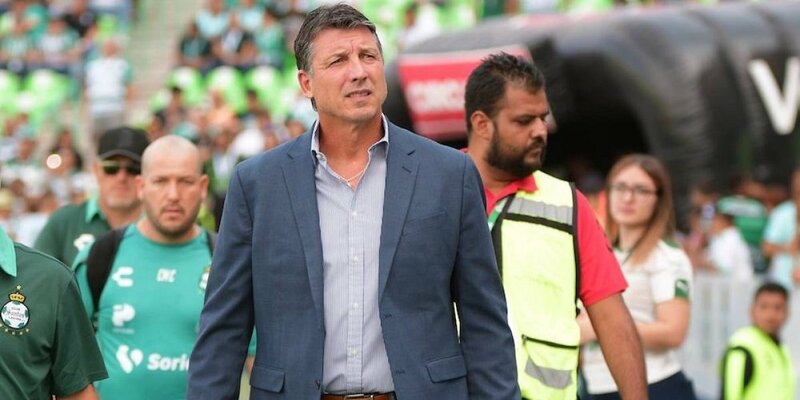 Instead, it was Santos Laguna manager Robert Siboldi who became the first manager to depart his club during the new Liga MX season. Siboldi and his coaching staff resigned from Santos Laguna over the team’s handling of a physical altercation between the staff and a player, defender Gerardo Alcoba, in training. However, it had seemed that Siboldi and his staff were able to make do with what looked like a difficult hand, losing leading striker Djaniny Tavares in a sale to Saudi Arabian side Al-Ahli shortly before the start of the Apertura. At the time of Siboldi’s firing, the Guerreros sat in sixth place in the Liga MX table with a 2-0-1 record. The club announced that Salvador Reyes de la Pena, until today the director of the Fuerzas Basicas, would assume the role of manager with Rafael Alejandro Figueroa Gomez (assistant), Nicolas Navarro Castro (goalkeeping), Juan Manuel Rodriguez Munoz (physio) serving as assistants to the newly transferred Reyes de la Pena. Gerardo Alcoba offered his acceptance of his role in the altercation that forced Siboldi and his staff to depart, even though he also offered praise of the work Siboldi put in to make the team and players (as a collective) better and more effective in their duties. The new coaching staff has to get its team and strategies ready for its first match, an away match in Zapopan on Sunday, August 12 against Chivas.